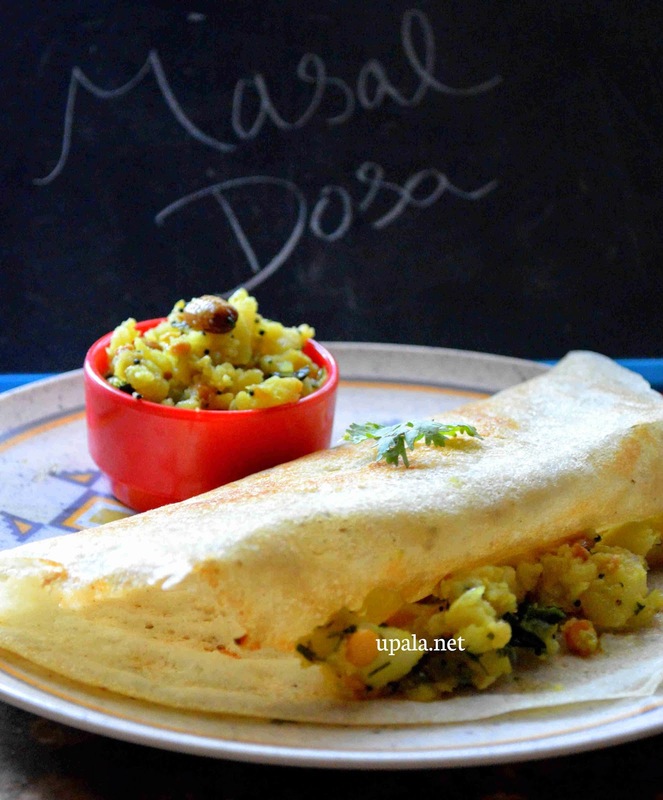 Masala dosa is a favourite dish for all, why not turn it into a healthy dish as well. 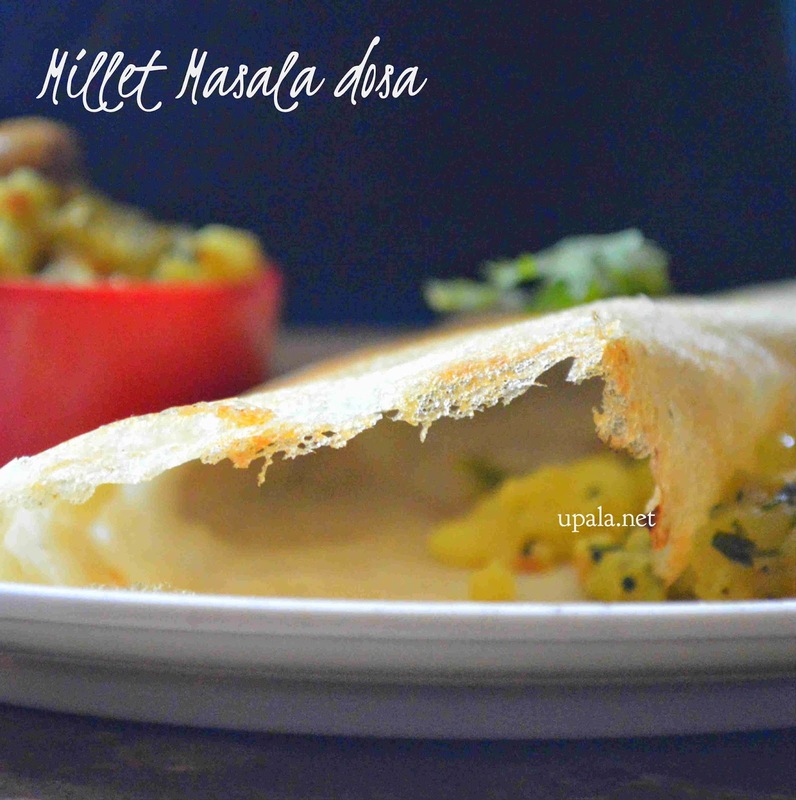 This Millet masala dosa is made of all millets/Sirudhaniyangal (Samai, Varagu, Thinai and Kuthiraivali). I know you will be wondering how come it sounds yummy when we add all millets/Siruthaniyangal.....give it a try and you will love them for sure. 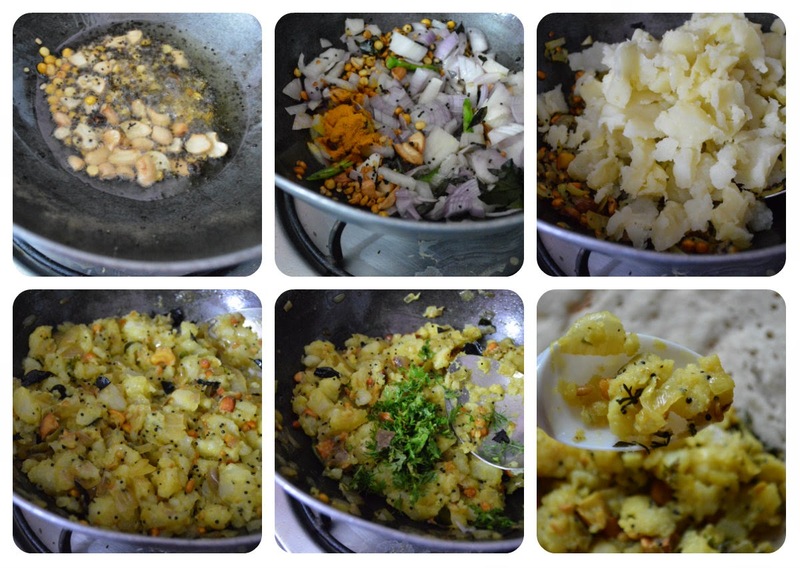 1) Soak all ingredients together for 3-4 hours given under " For Dosa Batter" except salt. 3) Grind it and finally add salt. Mix well. 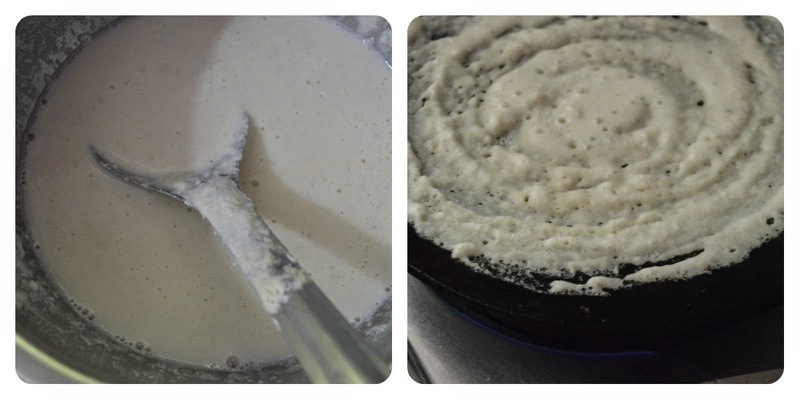 Your Dosa batter is ready. 1) Wash and clean the potatoes to remove the mud. Cut each of them into 4 pieces and pressure cook them with 1 cup water for 3-4 whistles. 2) Take a bowl with 2 cups of cool water, transfer the potatoes with laddle to cool water. 3) Now you will be able to handle the potatoes easily, peel off the skin and mash it with your hand. Don't mash them nicely just a press is enough. 4) In the meantime, heat oil in a kadai and add Mustard seeds. Once it crackles add rest of the items one by one given in "For Seasoning". Make sure the dals and cashews turn light brown and should not be burnt. 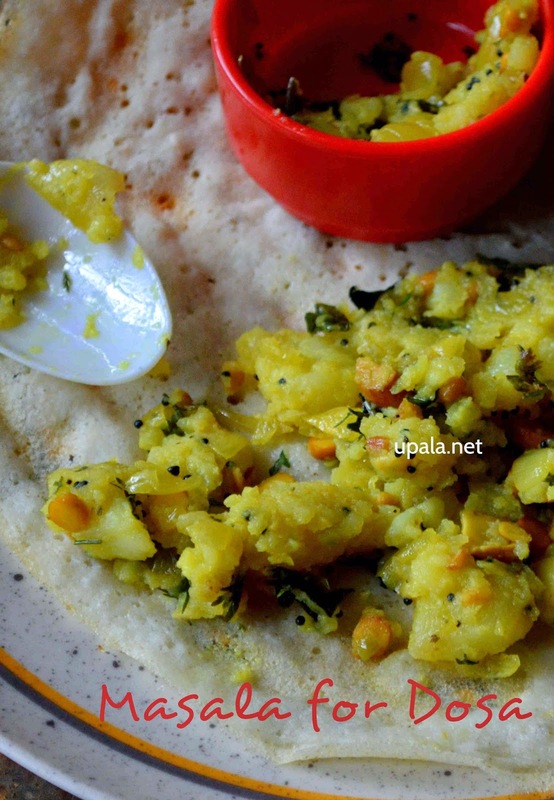 5) After adding curry leaves, add chopped onions, Turmeric powder and sauté till golden brown. 6) Next add Red chilli powder, Green chilli & Ginger and fry them for few secs. 7) Add mashed potatoes & Salt, also Sprinkle few water and mix them. 8) Fry them for 2 mins and switch off the flame. Finally add Coriander leaves and mix well. 1) Heat dosa tawa in medium flame and add few gingelly/sesame oil and spread them completely. 2) Spread dosa batter over the tawa and drizzle some oil over the sides. Close it with a lid to cook. 3) When its done remove the lid and spread a ladle full of potato masala and close it. I hope this video will help you in making crispy dosa..
Tasty Millet Masala dosa is ready...............Is it healthy or tasty dish?????????????? Good idea. I too tired a lot of millets for sometime. Then gave up . once again I need to start.